PUT YOUR OTHER DREAMS ON HOLD…HAVE A CHOCODREAM! 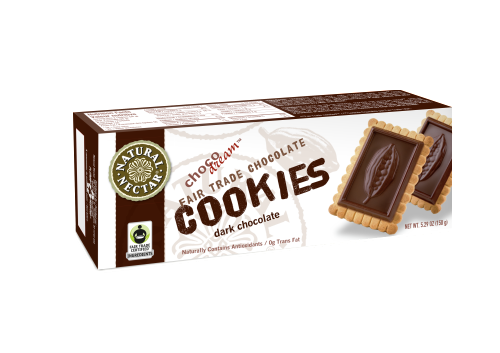 Combine the finest quality ingredients including Fair Trade Certified chocolate and cane sugar in a crisp buttery biscuit topped with a delicate bar of rich chocolate. 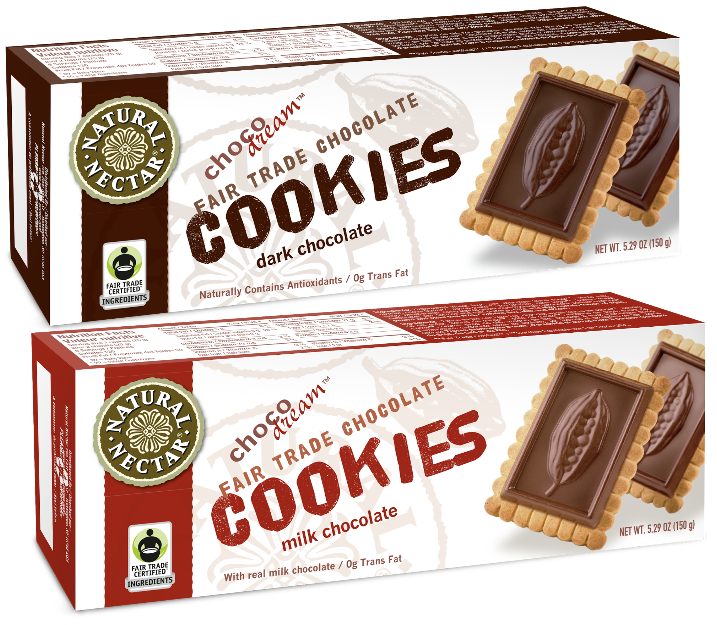 Why use Fair Trade ingredients? — By using Fair Trade ingredients we are helping to ensure farmers are able to invest in their farms and communities because they are receiving fair price and fair labor conditions. Natural Nectar is proud to support Fair Trade ideals of fair price, environmental protection and safe working conditions through our purchase of these ingredients from Fair Trade cooperatives around the world. How do you eat your ChocoDream cookies? 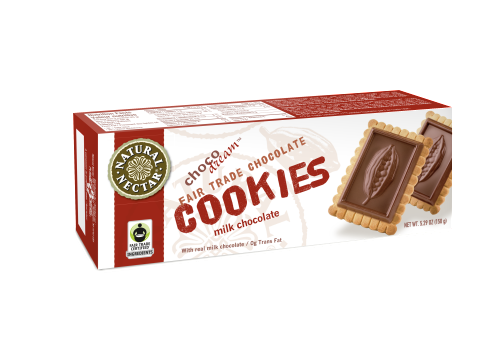 — ChocoDream cookies are perfect alongside a cup of tea or coffee, as a sweet finale to any meal, or a simply yet flavorful way to unwind any time of the day. As a special treat put a marshmallow in between two cookies and pop in the microwave for a few seconds to create instant yumminess!